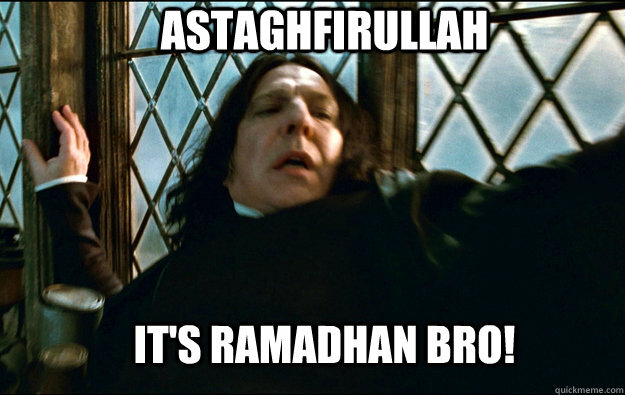 Ramadan is amazing. I could write pages on how blessed this month is and how it magically transforms our souls. But people have already done this and they’ve done it way better than I ever could. So this post is about me. But I have not lost hope. And by the will of Allah I will continue trying. This is the month of the Quran and I will focus on reading Allah’s words. Some days it’s barely anything and other days it’s a lot. I’m slow but I will keep going. And even when I am not reading, I hope to have Quran playing in the background. I pray taraweeh in my local mosque, letting the beautiful recitation wash over me. I will sincerely talk to my Lord. Tell Him my struggles, ask Him for help, thank Him for all I have, beg Him for forgiveness and pray for all those suffering around me. I will make myself realistic targets, review them weekly and add to them when they become habit. I will continue calling to my Lord, telling Him my fears and my struggles. I will have faith. I will stay hopeful. Disclaimer: I am no scholar and I am no model for all Muslims. I state this because too often the actions of one Muslim is used to brand all. I am just me. Ameen. Just keep trying ☺ its all we can do not to give up inshallah. I don’t see this blog as a procrastination tool, we don’t share the same religion so I’m not sure how accurate this may be in relation to yours but quite possibly maybe this blog is exactly what you are meant to be doing maybe you are helping someone thru their journey and you don’t even realize it. So stay strong and keep striving for your goals but always remember even the little things that seem like distractions may be exactly where you need to be at this point in time. I never thought of it like that – thank you!